Daughters is vocalist Alexis Marshall, guitar player Nick Sadler, drummer Jon Syverson and bass player Sam Walker. Following the release of their 2010 self-titled album, the band took an indefinite hiatus, returning in 2013 for a pair of sold out hometown shows in Providence, and a subsequent smattering of live dates in the intervening years, including joining Dillinger Escape Plan for their final live outings in December of 2017. 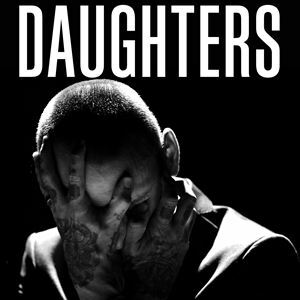 Daughters have been hailed for their visceral performances, both live and on record, with Pitchfork describing them as "manic" and "pummeling" and Punk News pointing to their "frantic energy" and "spastic urgency."